red factors for sale on preloved? found these canarys on perloved say there red factor but not been feed on red food! what do you think? Re: red factors for sale on preloved? My guess is Norwich canary. Because it has big round head. 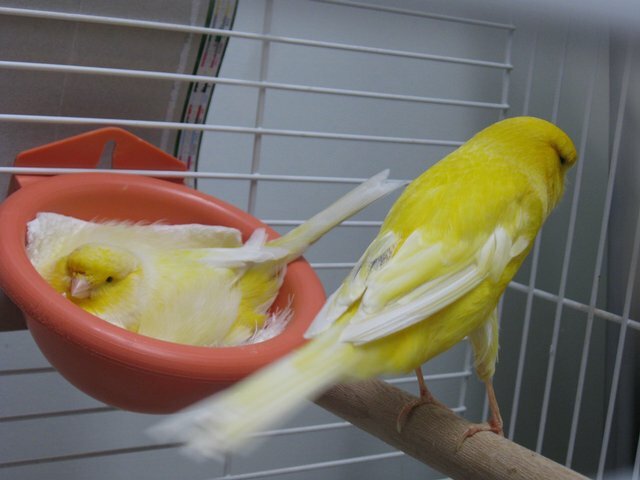 The way male canary stand like the yorkshire. Also Yorkshire canary has swirled feather. But I didn't see the swirled feather on this picture. Yep sure look like Yorkies uncolour fed! And never seen Yorkies with swirly feathers your thinking of frills!